When Oprah Winfrey walked through the doors of Maharishi School of the Age of Enlightenment on Wednesday, October 19th, I knew I would remember that day for a long time. For several weeks, her Harpo Productions film crew was at the school interviewing students. 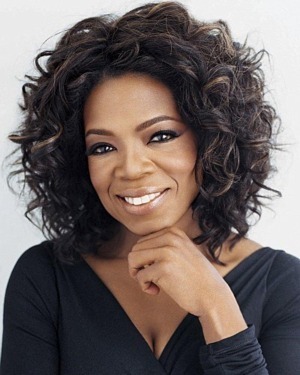 Rumors circulated that perhaps Oprah might make an appearance, but nothing was certain. When she actually arrived, it was momentous. The shiny black SUV pulled up inside the school fence, drove along the sidewalk and stopped. Faculty and administrators peered out their office and classroom windows to catch a glimpse of this woman who has touched so many lives. She walked up the center staircase to observe the Lower School children practice their walking meditation. Then she went to the Hall of Bliss to see the 5th through 12th grade girls meditating. She closed her eyes and meditated with them. When her cameraman zoomed in on her, she waved him away. This was a moment for her to relax, too. Teachers and staff members gathered in the lobby to greet Oprah as she was leaving. A crew member warned us that Oprah was on a tight schedule, and not to be disappointed if she didn’t talk and visit with us or shake our hands. But when the great woman appeared we were thrilled that she took the time to shake every single person’s hand. And then she stayed a few more moments to address our group. At right: Watch Dr. Oz's interview of Oprah in which she describes her experience in "TM Town"